Renovating a small bathroom is quite a challenge because you have to work with a limited amount of space. Most people assume it is not worth the investment as they do not spend a lot of time in it. However, the bathroom is a common area which is frequently used by all home dwellers. It, therefore, needs to look beautiful and relaxing. One should have the best time taking a shower or soaking in the bathtub after a long day at work. When renovating your bathroom, you need to have a clear picture of what you want. Below are some of the tips that will help you restore your small bathroom. 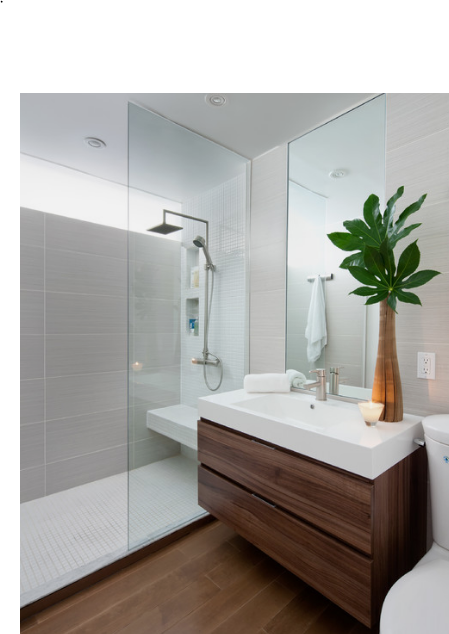 When creating a functional and beautiful space, you need to have the right bathroom layout. With the help of a contractor, you can identify the best layout that will meet all your needs. There is quite a vast variety of layouts that you can choose from some of which you can find on the internet. The existing plumbing work may prove difficult to navigate through especially if you are not looking to change it. Your plumber should advise you accordingly to avoid high expenses. Additionally, you should consider all the features you want to include in your bathroom when planning the layout. A shower is one of the basic things in a bathroom which is mostly used. You could replace your old showerhead with the new modern types which come in different sizes, shapes, and colors. It also needs to supply a sufficient flow of water when being used. You can decide on having a hand-held or fixed shower head in your bathroom too. Additionally, you can install a glass shower in your bathroom. This will help light and air flow into the bathroom without any obstruction. It will also give an illusion of having a bigger bathroom. However small your bathroom is, it needs some storage space. This is where you store away extra towels and all toiletries. Select a vanity that does not make the room look crowded. You can also install hanging drawers on one side of the wall which will maximize on the space. Moreover, in the shower, you can install a rack that will hold your shampoo and soaps. Light makes all the difference in any given space. Enough light creates a welcoming and rejuvenating space. The bathroom requires light which will help you see clearly as you apply make-up or shave off your beard. When renovating your small bathroom, avoid hanging dark colored drapes on the windows. White sheers should be perfect in this case as they will allow natural light into the room during the day. Install enough light fixtures into the room like a chandelier that stands out in the middle of the room. Remember that all light fixtures in the bathroom should be waterproof especially if it is a wet room. Moreover, if you live in very cold areas, you could consider installing heating systems.